Whatever happened to Petri Wines? 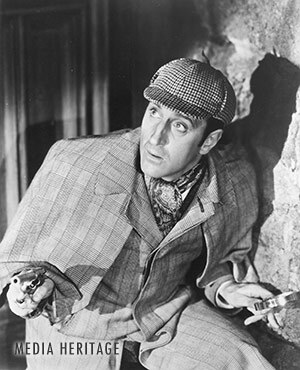 Listeners who tune into Theater of the Mind for The Adventures of Sherlock Holmes often hear Harry Bartell and Nigel Bruce discuss Petri Wines before a new case is introduced. Petri – The family that took time to bring you good wine – brought The Adventures of Sherlock Holmes into living rooms from 1939 – 1946. When Basil Rathbone left the show Petri Wine did as well. Tom Conway stepped in to play Sherlock Holmes and Kreml Hair Tonic became the new sponsor. Have you ever wondered what happened to Petri Wines? Lucklily this mystery can be solved without the talents of Sherlock Holmes and his dear friend Watson. In the spirit of Harry Bartell this is a longer post than normal I suggest that you pour yourself a nice glass of Sherry or Port before continuing. Petri Wine takes its name from the founder of the winery, Raphael Petri. He opened the Petri Wine Company in the San Joaquin Valley in 1886. Petri expanded operations by purchasing another vineyard in Escalon North of Modesto and close to the main winery in 1916. In 1935 Louis A. Petri, the grandson of Raphael, left school where he was studying medicine to work with his family. In 1939 Petri Wines became a sponsor of The Adventures of Sherlock Holmes and had a robust lineup of wines ranging from red, white, rose, sparkling, aperitif and dessert wines. Two years before Petri canceled sponsorship of the program Louis Petri became President of the company and that’s when Petri Wines started on its way to becoming one of the biggest wineries in the United States. After purchasing the Tulare Wine Company and Mission Bell Winery Petri became the third largest winery in California. Louis Petri continued to grow the company by forming Allied Grape Growers and creating another company called United Vintners which Petri Wines became a part of. United Vintners then sold their wineries to the Allied Grape Growers. Many more major deals were in the works and by the early 1950s United Vintners were producing more wine than Roma Wine (a long time sponsor of the show Suspense). For the next 14 years that Louis Petri was President acquisitions were made and publicity as well. A WWII tanker was turned into a vessel for carrying wine so California wines could be delivered to Texas and New York bypassing the railways. In 1968 United Vintners sold to Heublein which at one point owned Kentucky Fried Chicken and Smirnoff Vodka. In 1982 R.J. Reynolds Tobacco Company bought Heublein and when R.J Reynolds merged with Nabisco pieces of Heublien were sold off. In 2003 Bronco Wine Company purchased the Escalon site where Petri first expanded in 1916. The Bronco Wine Company owns more than 60 brands of wine like Charles Shaw ($2 buck chuck to Trader Joe’s shoppers) and Crane Lake. So if you’re feeling like a glass of Petri Wine, you may have already drank something close to it without knowing it. Tune into The Adventures of Sherlock Holmes on Theater Of The Mind every Thursday at 11:00 am EST on WMKV.